Harvey is a life-long activist who speaks, writes and organizes widely on energy, the environment, history, drug war, election protection and grassroots politics. He teaches (since 2004) history and cultural & ethnic diversity at two central Ohio colleges, and is married with five daughters and five grandchildren. Harvey works primarily for the permanent shutdown of the nuclear power industry and the birth of Solartopia, a democratic and socially just green-powered Earth free of all fossil and nuclear fuels. He writes regularly for a wide internet readership through Ecowatch, solartopia.org, freepress.org and nukefree.org, which he edits. His articles also appear at Commondreams, CounterPunch, HuffingtonPost, Buzzflash and others.He hosts the Solartopia Green Power & Wellness Show at www.prn.fm. He has an MA from the University of Chicago and a BA from the University of Michigan, both in history, and has authored or co-written a dozen books and countless articles, essays, op eds, etc. Howard Zinn, Dr. Benjamin Spock, Marianne Williamson, Studs Terkel, Kurt Vonnegut, Bonnie Raitt, Dennis Kucinich, Dr. Helen Caldicott, Ed Asner, Ina Mae Gaskin, Ralph Nader, Greg Palast, Dar Williams and Robert F. Kennedy, Jr., are among those who have introduced or endorsed his books. With Pete Seeger and David Bernz he co-wrote the “Song for Solartopia” which is featured on the Grammy-winning “Tomorrow’s Children” CD. The “RockyTop” version is by Dana “Cows With Guns” Lyons. Harvey marched at his first demonstration in 1962, helping to de-segregate a roller rink in Columbus. He briefly met Dr. Martin Luther King on the Meredith March for civil rights in Grenada, Mississippi, in 1966. As a student editor at the University of Michigan Daily, his 1966 editorial “The Use of Marijuana: It Should be Legal” went global on the wire services. His recent PASSIONS OF THE POTSMOKING PATRIOTS, written as “Thomas Paine,” portrays George Washington as a gay hemp head. Active in the movement against the war in Vietnam, Harvey marched on the Pentagon in 1967 and the Chicago Democratic Convention in 1968. He helped found the legendary anti-war Liberation News Service, which which the FBI’s COINTELPRO operation tried (unsuccessfully) to destroy. He then helped found the communal organic Montague Farm in Massachusetts, a pioneer in a new generation’s movement against chemical farming. In 1972 HARVEY WASSERMAN’S HISTORY OF THE U.S., introduced by Howard Zinn, published by Harper & Row, helped pave the way for a new generation of people’s histories. In 1973 Harvey coined the phrase “No Nukes” and helped found the global grassroots movement against atomic energy, for which he has spoken throughout the US, Asia and Europe. In 1976-8 he helped coordinate mass non-violent demonstrations against reactors being built in Seabrook, New Hampshire. In 1979 he was part of the legendary Musicians United for Safe Energy (MUSE) No Nukes Concerts in Madison Square Garden and sister rally at Battery Park City. He edited the informational booklet that accompanied the gold triple album. In 1982 Harvey co-wrote (with Norman Solomon, Bob Alvarez & Eleanor Walters) KILLING OUR OWN: THE DISASTER OF AMERICA’S EXPERIENCE WITH ATOMIC ENERGY, documenting that people died at Three Mile Island. In 1990 he became Senior Advisor to Greenpeace USA, for whom he spoke to 350,000 semi-conscious rock fans at Woodstock 2 in 1994. In Kiev in 1996 he spoke at the tenth anniversary commemoration of the Chernobyl disaster, and then in Kaliningrad, in the former Soviet Union, where he met with “liquidators” whose lives and health had been sacrificed in the Chernobyl clean-up. In central Ohio, Harvey co-founded the Great Blue Heron Alliance, which saved 240 acres of land for a wildlife refuge and other grassroots organizations which forced shut a trash-burning power plant, stopped a regional radioactive waste dump, shut a McDonald’s and saved the city of Bexley’s Jeffrey Park. With Dan Juhl, Harvey co-wrote “Harvesting Wind Energy as a Cash Crop,” a guide for farmer/community-owned renewables. In 2004 Harvey and Bob Fitrakis broke many of the major stories on the theft of the 2004 presidential election in Ohio. Called “the Woodward and Bernstein” of election protection by Rev. Jackson Jackson, Bob and Harvey have published six books on the American art of vote counting and curtailment. In 2007 Harvey joined with Bonnie Raitt, Jackson Browne and Graham Nash to form NukeFree.org as part of a successful national grassroots campaign to stop $50 billion in loan guarantees to build new reactors. Harvey now edits the www.nukefree.org website which posts a constant stream of articles on nuclear power and green energy. He continues to campaign for a green-powered Earth, against federal funding and all other new nuke boondoggles, against the drug war, and for a system of automatic voter registration and universal hand counted paper ballots—key elements on the road to Solartopia. On the morning of March 11, 2011, Harvey was among the first to break the news of the Fukushima disaster, about which he continues to speak and write regularly. In the process of moving to California, Harvey has become increasingly involved in the movement to make the state nuclear free, and a global center of renewable energy. He hopes to continue with his love of college teaching there. Born: December 31, 1945; Cambridge, Massachusetts. Avocations: Journalist, historian, teacher, book publisher, radio talk host, eco-activist, father of many daughters. MA, American History, University of Chicago, 1974. Public Teaching Certificate, N.Y. University, 1968. Norman Thomas Honorary Address, Ohio State University, 2008. Selma Walker Award for Local Activism, Columbus Free Press, 1999. Bexley Citizen of the Year, Citizens for a Better Bexley, 1996. Dragonslayer, New England Coalition Against Nuclear Pollution, 1992. Leo Goodman Award for Safe Energy Activism, 1989. Woodrow Wilson Fellowship, University of Chicago, 1967-8. Phi Beta Kappa, Phi Kappa Phi, University of Michigan, 1967. Adjunct Instructor of History, Columbus State Community College, 2004-. Subjects: United States History, Western Civilization, Environmental History. Adjunct Instructor of History, Capital University, Bexley, OH 2004-. Cultural & Ethnic Diversity. Adjunct Instructor, Hampshire College, Amherst, MA., 1973-5. History & journalism. Previously published by Four Walls, Eight Windows (NY: 1989); Harper & Row (NY: 1972); Shobun-Sha (Tokyo: 1976). SOLARTOPIA! Our Green-Powered Earth, A.D. 2030.
with a theme song by Pete Seeger. A Glimpse of the Big Light: Losing Parents, Finding Spirit. The Last Energy War: The Battle Over Utility Deregulation. Seven Stories Press (NY: 2000). with Atomic Radiation (with Norman Solomon, Robert Alvarez, Eleanor Walters: introduction by Dr. Benjamin Spock), Dell/Delta (NY: 1982). As Goes Ohio: Election Theft Since 2004. CICJ Press (Columbus, Ohio; 2008). What Happened in Ohio? (also with Steve Rosenfeld). The New Press (NY: 2006). Did George W. Bush Steal America’s 2004 Election? Essential Documents (also with Steve Rosenfeld). Abbie Hoffman, Revolution for the Hell of It. Senior Editor, www. freepress. org. (Green Mountain Post Films, Turners Falls, MA. : 1975 & 1978). “Song for Solartopia!” (with Pete Seeger) 2007. “Solartopia for You & Me” (with Dana Lyons) 2008.
in major daily newspapers and other publications across the US, Japan and Europe, including the New York Times, Los Angeles Times, Boston Globe, Cleveland Plain-Dealer, La Guele Ouvert, Sekai, et. al., 1968-present. Sixth Column, a bi-weekly column, Columbus ALIVE, 1997-2002. Cosmic Politics, a bi-monthly column, New Age Journal, 1982-4. Perspectives, a weekly column, U. of Michigan Daily, 1966-7.
the Progressive, Nation, Mother Jones, etc. 1967-present. Washington, New York and Montague, MA., 1967-9. Politics Editor, New Age Journal: 1981-4.
platinum. Revised for CD release, 1998. Co-Editor, Clamshell Alliance News, New England, 1976-8. Gerth) on Richard Nixon’s ties to organized crime. Senior Editorial Director, University of Michigan Daily: 1966-7. Co-founder (with Bonnie Raitt, Jackson Browne, Graham Nash, et. al.) NukeFree.org, begun 8/1/2007 to stop federal reactor loan guarantees. We established a web site with a music video, and on 10/23/2007 delivered 120,000 signatures to Congress. The proposed $50 billion program was deleted from the 2007 Energy Bill; we have since defeated two additional attempts to get this $50 billion program into the federal budget and has since been rejected twice in other forms. Co-organizer, Ohio Election Protection Team, 2004-present. We helped force the first Congressional challenge to a state’s Electoral College delegation since 1876-7, helped monitor the 2004-6-8 elections in Ohio, and helped spark a global movement for election protection & universal hand-counted paper ballots. Senior Advisor, Greenpeace USA, 1990—present; in November, 2000, we helped prompt then-Vice President Al Gore to drop nuclear power from the Kyoto Protocol as a “solution” to global warming. Gore sent a Gore’s personal confirmation letter. Senior Advisor, Nuclear Information & Resource Service, 1990-present; Board Member, 2004. NIRS opposes commercial atomic power. Board Member, Save Our Everglades Foundation, 1998—present; the Foundation is an essential force in saving south Florida’s vital eco-systems. Senior Advisor, Green Highway, traveling ecology exhibit with Bonnie Raitt concert tour, summer, 2001. Founder, Bexley (Ohio) Citizens to Save Jeffrey Park, 2000. We stopped a city hall complex from being built in a local park. Founder, Great Blue Heron Alliance, 1997-present. We helped save 240 acres next to a regional wildlife refuge in Central Ohio. Co-coordinator, Greenpeace campaign to shut Minnesota’s Prairie Island Nukes, 1994; we helped win a landmark state mandate for 2 rounds of $400 million wind power set-asides, a major boost to the domestic US wind power industry. Co-organizer, Citizens for a Better Bexley, 1994-6. We shut a McDonalds. Co-organizer, Citizens Protecting Ohio, 1992-. We helped stop an NRC Regional Compact nuke dump, helping collapse the Compact system nationwide. Co-organizer, Citizens Against the Trash Burner, 1993-4. We helped shut a $180m, 90 megawatt trash burning power plant. the 1980 Reagan-Bush Iran hostage deal. Co-organizer, Seabrook Emergency Committee, 1989-90. We raised over $100,000 trying to keep Seabrook shut, forcing Congressional hearings on the Nuclear Regulatory Commission’s handling of the licensing process, which helped lead to the permanent closure of the Yankee Rowe reactor. campaigns in New Hampshire and elsewhere. Co-organizer, Musicians United for Safe Energy concert, record and film production organization and foundation. We staged five concerts in Madison Square Garden and a rally at Battery Park City, New York, September, 1979. About 90,000 people attended the concerts, about 200,000 were at the rally. A three-record Elektra-Asylum set went platinum, and was released as a CD in 1998; the Warner Brothers feature film was distributed worldwide. Performers and co-oganizers included Bonnie Raitt, Jackson Browne, Graham Nash, John Hall, Bruce Springsteen, Carly Simon, James Taylor, Chaka Khan, Gil Scott-Heron, Peter Tosh, CSN, Paul Simon, etc. Co-organizer, Clamshell Alliance, Seabrook, New Hampshire, 1976-8. We organized the first mass non-violent actions against the Seabrook nuke, helping to prompt a global movement. Co-organizer, Alternative Energy Coalition and Nuclear Objectors for a Pure Environment, Montague, MA., 1973-6. We founded early grassroots No Nukes groups, and helped stop a proposed double-reactor project. The site is now a nature preserve. 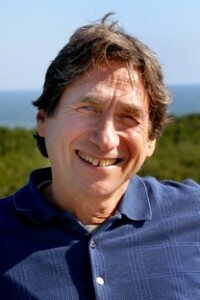 Co-founder and trustee, Montague Farm, Montague, MA, a pioneer in organic farming since 1968. After 34 years of communal living, we successfully transferred the 34-acre farm to the Peacemakercircle International, Inc., a non-profit, in 2002. Active against the war in Vietnam and other US interventions, 1966-. Marched on the Pentagon, 1967; at the Chicago Democratic Convention, 1968, etc. Two purple hearts. Member, Students for a Democratic Society, Ann Arbor & Chicago 1967-8. The Nevada Nuclear Test Site, 1991. Informal media consultant for various grassroots anti-nuke, pro-ecology and fair elections groups around the US: 1974–. Media Co-Coordinator, Musicians United for Safe Energy Concerts and rally, New York, 1979. Media Co-coordinator, fund-raising concerts and tours involving Jackson Browne, Graham Nash, Bonnie Raitt, etc, 1978-82. Media Co-coordinator, Clamshell Alliance, 1976-8. Four of us did the first media committee during the mass occupations at the Seabrook nuke. Media Co-coordinator, Nuclear Objectors for a Pure Environment and the Alternative Energy Coalition, two early anti-reactor groups in western Massachusetts, 1974-6. We wrote the first “No Nukes” compendium in the Greenfield Recorder, printed the first No Nukes bumper-stickers and t-shirts, and stopped the Montague nuke. Host, “The Solartopia Show,” WVKO 1580AM, Columbus, 2008. Guest Host, WTVN-AM, Columbus, Ohio; Summer, 1998. Ecology Talk, a 3-6 minute commentary, on WCBE-FM, Columbus, 1989-1991. Guest appearances to discuss election protection, US politics and history, renewable energy, utility deregulation, nuclear power, etc., in several hundred radio, television and print interviews since 1967, including Democracy Now!, Art Bell, Today, Phil Donahue, CBS Nightwatch, Charlie Rose, Sonya Friedman, Lou Dobbs, the Osgood File, NPR’s All Things Considered and Weekend Edition, Robert F. Kennedy, Jr’s, Ring of Fire, Thom Hartmann, Laura Flanders, Peter B. Collins, Meria Heller, Stephanie Miller, etc. Plenary presenter and panelist, annual Conference on World Affairs, Colorado University, Boulder, on/off since 1984. Occasional presenter, E-TOWN concert/radio shows, Boulder, Colorado, and nationally syndicated. Addressed 350,000 semi-conscious rock fans at Woodstock 2, 1994, between CSN and 9 Inch Nails, then the Neville Brothers and Carlos Santana. workshops, canvass briefings and other gatherings on nuclear power, the environment, media and politics, since 1967. Spoke against nuclear power to citizen groups in Japan, Thailand, Malaysia, Indonesia, 1975-6. Planet Earth: How It Works, How to Save It. Killing Our Own: The Disaster of America’s Experience with Atomic Radiation. Guess Who’s Coming to Power. America Born & Reborn: The Cycles of Our History. (Eagle Forum), Howard Philips (Conservative Caucus), Congressman John LeBoutillier (Accuracy in Academia), Rabbi Sam Intrator, etc. President, Wasserman Uniform Company, Cols.,OH: 1984-2003. Member, Social Venture Network, a national organization of socially concerned businesspeople, 1987-90.
responsible businesses, which eventually evolved (though I was not involved) into Businesses for Social Responsibility. All fifty states except North Dakota and Arkansas. Ireland, Holland, France, Britain 1991. Hong Kong, China (Canton), Japan, 1978. Japan, Thailand, Malaysia, Singapore, Indonesia, India, 1975-6. Mexico: Tijuana-Isla Mujeres, 1973; Tijuana-Vera Cruz, 1969. Canada: Alberta, 1992; Montreal-BC, 1972. England, Ireland, Wales, France, Holland, Italy, Turkey, Israel, West Germany, Luxembourg 1967. Shoshanna Faith Wasserman, b. 6/1/99. Swimming, weight lifting, bike, scuba, sports in general. To win a green-powered Earth. To author Harvey Wasserman’s History of Humankind, etc. They threw my ‘free speech’ display into the Bay! My world’s largest free speech display, which began and finished in Venice Beach from 1993-2006, and then taken to Port Townsend, Wa. in 2007, after several years of displaying, was ‘censored’ by local politicians (city council), announced in the March 2014 edition of the local paper followed days later by ‘someone’ throwing all 42 dry erase boards, 9 tables, 2 hauling carts, artist easels, etc. into Admirality Bay which is between the Pacific Ocean and Puget Sound of Seattle. 14 times I’ve been to court including once in the Washington State Appeal court only to be left with an April 13, 2016 verdict in the District Court of a fine, and one year probation to keep my display confined to a 4′ x 6′ (5′ height limit) or face 90 days in jail! I continue downsized in compliance several times per week knowing that the censorship could be about ‘anything’ in reality. Free speech in America continues being like the frog in the water that keeps slowly getting hotter until the frog is dead. My main goal is to expose this First Amendment travesty in perhaps America’s most open (?) small town (popular tourist town of 9,200) and influence the growth of free speech to make America greater and a symbol of free expression for the world. We are undergoing what looks to be a political revolution. Will you investigate and do a story? !